The Rhythm & Soul Music Festival…………………. On The Verge and Mojo Live Concert Series Present THE PREMIER EAST COAST INDIE SOUL CONCERT SERIES SOUL IS… featuring Hidden Beach Recording Artist Keite Young w/special guest Maya Azucena. 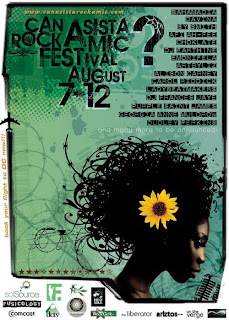 Virginia based ‘On The Verge’ and D.C. based ‘Mojo Live’ have joined forces as co-promoters to present a stellar East Coast Indie Soul Concert Series to begin in Norfolk, Virginia on July 17, 2007. The series, branded “Soul Is…” dedicates itself to building a small venue, live performance platform for independent soul music and artists from across the country. Our mission, which we take extremely serious, and our vision, which we see crystal clear, is to connect artists to audiences and audiences to artists. Soul On Ice and Headnod Collective present “What Is Soul?” Volume 2. Celebrating Maya’s Sophomore release “Junkyard Jewel” with special guest Jennie Laws. Hello Rt! Family!It has been a busy couple of week, but fun nonetheless. Special shout outs to Mabili Kregg, Sista’ Factory and BAM Cafe for their Summer Series 2007. I had a great time, and really enjoyed the vibe.Also, shout out to my Miami Family that came out for Alex’s Bday show. Special holla’ to Jody and the Deep Fried Funk Band. Then to DC w with SEI Entertainment. Blues Alley was a great Bday show celebration with honor and gratitude. It is such an amazing spot with a history of legends. Oh, and Bmore with Patti LaBelle and Anthony David…I got to sing with Patti y’all. CRAZY!!! I could barely sing. I just stood to there with the mic and my mouth open in awe that such a small lady could produce such voice and energy. If you are ever in DC check out POSH’s Girl’s Night Out. It was a great event with JCM Entertainment. I’ll be back to DC on July 30th at the Birchmere with Elisabeth Withers. 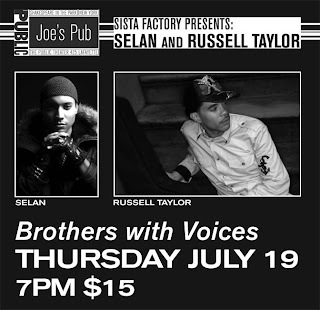 I hope some of you can make it.In the meantime however, I WILL be at JOES PUB this Thursday, July 19th 7pm with my Soul Brother Selan. This will be a great show, my first early show in a long time, and one of my last NY shows of the year. I hope to see you, your Mama’ and your cousins at this one. Also, for all you singers and musicians, try to make your way down to ATL’s Soul Summit. Last year it was an amazing networking tool for this game…and you get to share the stage with other great artists at some point or another.Keep your eyes peeled for the site too, I got some new things to post including some pictures of my travels over the past 6 months.Stay tuned for Can A Sista’ Rock the Mic in August, shows in DC, Norfolk, Boston, LA and Paris!Thanks for keeping in touch…and feel free to forward and CONVINCE your friends and family to JOIN my mailing list at http://www.russelltaylor.net. Peace and Soul!Rt! Four Kornerz have just signed a key partnership agreement with leading Christian organisation Youth For Christ. The move will see Four Kornerz become Youth For Christ’s main band to assist in promoting the Christian charity’s work which dates back to 1946 when originally founded by US preacher Billy Graham. Previously, Youth For Christ have worked with in-house created music groups to spearhead schools, community and prison initiatives. But this is the first time in recent years the organisation has actively outsourced such a key role to an already existing outfit, in this instance Four Kornerz. The band’s first official Youth For Christ engagement will be on Sat 13 October where they will take part in “Showcase Day” at Coventry Central Hall. Over 800 workers and youth from all over the Youth For Christ UK network are expected to attend and Four Kornerz will not only bring their exhilarating brand of live music but also take part in the official Commissioning Service to formal welcome the band as an official Associate Ministry of Youth For Christ. The major scale of the partnership will take full force in 2008 when the band makes its debut at the annual Youth For Christ staff conference and take on a key city tour alongside the Christian organisation. MUSIC! MUSIC! MUSIC! MUSIC! MUSIC! MUSIC! MUSIC! MUSIC! THE INDIE SOUL BRUNCH – Enjoy a 3 course brunch with all the Mimosas and Bloody Marys you can drink while DAN C.E., Shay Stevens and special guest DJs provide you with the sounds of your favorite contemporary Soul Music artists! Special Event This Sunday, July 22nd, join us for “Lions And Butterflies” book reading and signing by author Ahmad Simone at 7pm! Followed by an Open Mic session! All poets and singers welcomed! Every week: Special Guest DJs spinning eclectic grooves from yesterday, today and tomorrow until the wee hours of Monday morning!!! !